The Records Unit is part of the Support Services Division. Two Records Clerks and a supervisor are tasked with collecting data, recording operational activities, and serving as the central storehouse for all criminal and traffic reports. The Records Unit is also responsible for collecting fines for parking tickets and fingerprinting individuals who need their prints taken (usually for an employment seeking or background investigation purpose). Additionally, the Records Unit assists several other components of the Police Department by generating and tracking statistical information that is used to evaluate crime and traffic crash trends. The Records Unit is open Monday through Friday, 8:00 a.m.- 5:30 p.m. They are closed on holidays. 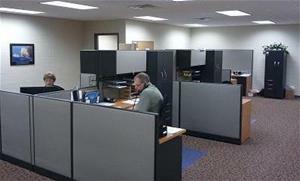 The phone number for the Records Division is (605)882-6214. The Watertown Police Department has partnered with Docview, and internet based application developed to help law enforcement agencies and insurance companies manage and access traffic crash reports online. This system allows people to print crash reports 24 hours a day from any location with internet access. The reports are in PDF format which makes them easy to view, save, print, and email. There is a $12 fee to download a report with DocView, The fee is comprised of a $6 dollar DocView convenience fee and a $6 fee as required by Watertown Ordinance for a copy of the crash report. As an alternative, people are welcome to stop at the Records Unit in person and only pay the $6 fee.